Consumer stocks are on fire so far in 2018 — the Consumer Discretionary Select SPDR ETF (NYSEARCA:XLY) is up 14% year to date through August 13, double the performance of the S&P 500 — and that’s got Goldman Sachs (NYSE:GS) singing the praises of 7 companies that include a hotel chain, food services business, a casino operator, and several more. 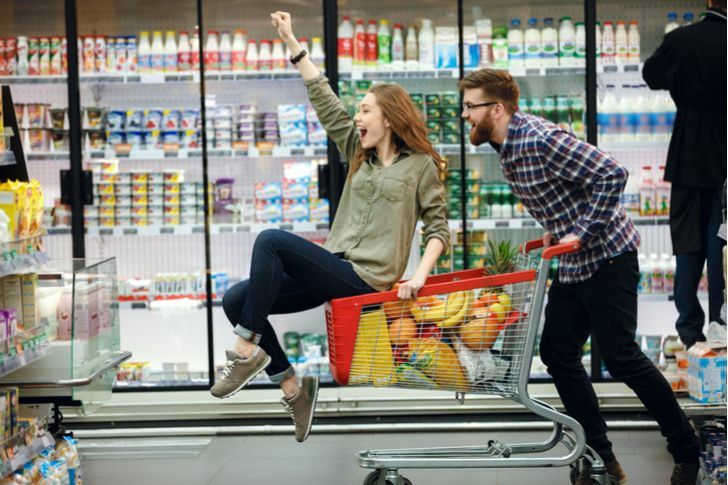 It’s a good time to be a consumer-facing business given the strong economy, high consumer sentiment, and increased discretionary income thanks to the Trump administration’s tax cuts. However, that’s not the only reason Goldman Sachs is high on consumer stocks. Every year it surveys 2,000 consumers about their economic pessimism. Today, consumers are the least pessimistic since the investment bank started the survey in 2005. At least in Goldman Sachs’ opinion, it’s full speed ahead when it comes to consumer stocks. Goldman Sachs has offered investors 7 consumer stocks, but I’d like to provide alternatives. In each industry represented by the original list, I’ve made my own recommendations. 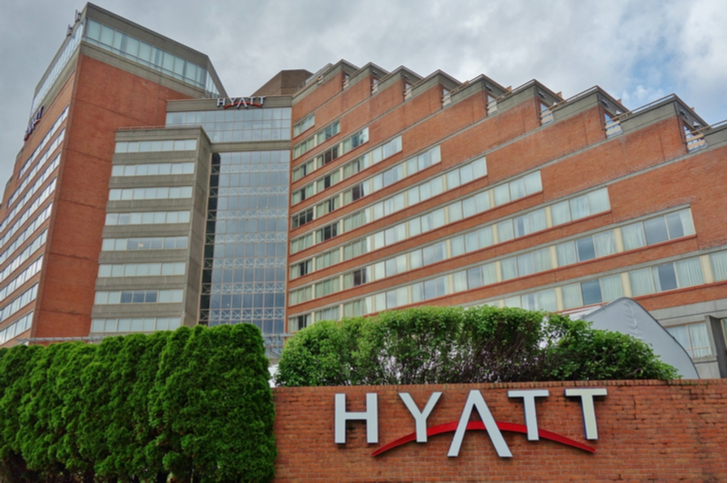 Hyatt Hotels (NYSE:H) canceled its old loyalty program in March 2017, replacing it with a new loyalty program: World of Hyatt. At the time, industry insiders were left dumbfounded by the move, which focuses on experiences instead and avoids direct competition with its bigger peers. Well, World of Hyatt just announced a partnership with Small Luxury Hotels of the World, a collection of 500 luxury properties around the world. In addition to this partnership, it’s also forged a relationship with and made a minority investment in Oasis home rentals, a group of 2,000 homes located in over 20 destinations including Paris, Rome and London. Frequent travelers will love the fact they can use accumulated points to stay at both vacation rentals and smaller, boutique hotels. In my opinion, Hyatt’s stepping up to the plate makes the stock’s upside potential that much greater over the next 12 months and beyond. The stock screener that I use puts Starbucks (NASDAQ:SBUX) in the specialty eateries industry alongside Aramark Holdings (NYSE:ARMK). It’s not where I’d put Aramark, given it’s more of a commercial/industrial business than a consumer-facing one, but that’s a discussion for another time. SBUX stock has not had much luck the past three years: Year to date through August 13 it’s down 8%; it had a total return of 5% in 2017 and a negative total return of 6% in 2016. Over the past 36 months, it’s down 1% on an annualized basis. Aramark, by comparison, has a 9% annualized total return over the same period. Not much has gone right for the Seattle phenomenon lately whether we’re talking about poor customer experiences or slower sales in China, its growth engine. That’s okay. All companies have to reset on occasion; Starbucks is in the middle of one of those resets. 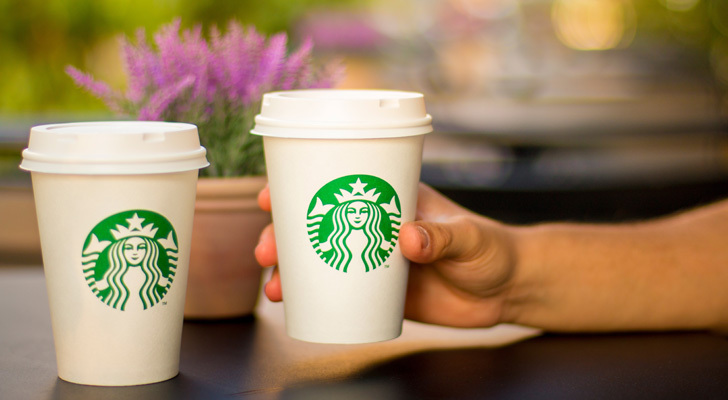 InvestorPlace’s Laura Hoy recently discussed how Starbucks still has a strong growth story ahead of it. I couldn’t agree more. China’s going to come around, and when it does, SBUX stock will have plenty of upside, certainly more than 25% in a 12-month period. Of all the S&P 500 consumer stocks, SBUX is my choice to surprise in 2019. 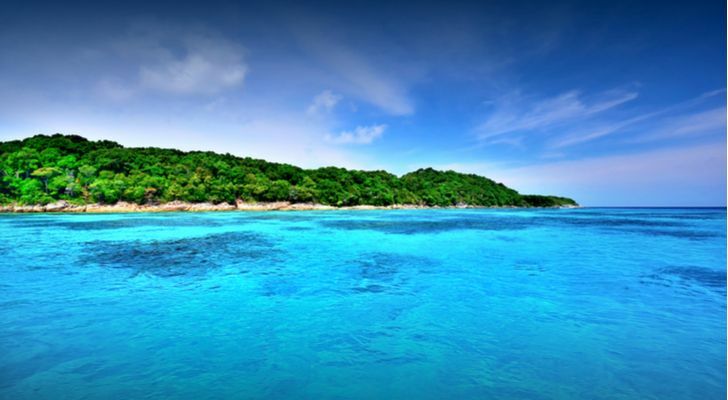 There’s a good chance you’ve never heard of BBX Capital (NYSE:BBX), a Florida-based holding company whose biggest asset is a 90% ownership interest in Bluegreen Vacations (NYSE:BXG), a timeshare company it spun off in November 2017 at $14 a share. Bluegreen Vacations has more than 215,000 timeshare owners at 69 resorts across the U.S. We’re not talking luxury resorts, just pleasant accommodations for family vacations. In the trailing 12 months through June 30, it has generated $736 million in revenue with $150 million in adjusted EBITDA. Revenues over the past four fiscal years have grown from $516 million in fiscal 2013 to $736 million today while adjusted EBITDA has grown from $103 million in fiscal 2013 to $150 million today. Vacation ownership sales have grown from $6.3 billion in 2009 to $9.6 billion in 2017. With a healthy economy, that’s likely to continue moving higher for the foreseeable future. So, why buy BBX Capital and not Bluegreen? Bluegreen currently has an enterprise value of $2.4 billion, making BBX Capital’s 90% stake worth $2.2 billion. However, BBX Capital’s enterprise value is $1.1 billion, which means all of its other investments have no value in the eyes of investors. Rising costs have put a squeeze on both Mondelez International (NASDAQ:MDLZ) and Hershey (NYSE:HSY). Both have plans to deal with this reality. Both are facing an uncertain future. In June, I named Hershey one of seven women-led S&P 500 companies to own. “Only in the job a little more than a year, it’s too early to say how she’s doing, but it’s safe to say the December 2017 acquisition of Amplify Snack Brands — makers of Skinny Pop snack foods — for $1.6 billion suggests she’s ready to shake things up at the iconic chocolate company,” I wrote June 13. It’s up about 8% since. The CEO’s turnaround plan focuses on improving its gross margin profitability. Although its gross margin will decline in fiscal 2018, its price increase combined with a narrowing of its product offerings should deliver higher long-term profitability. Hershey currently has a market cap of $20.7 billion, 17.3 times free cash flow. Meanwhile, Mondelez trades at 24.7 times free cash flow. Hershey is the value play of the two. However, as the Amplify acquisition suggests, Gross Buck is not afraid to make big moves to deliver for shareholders. With years of consumer goods experience, I like her chances for success. If there is a restaurant stock that’s done as well as BJ’s Restaurants (NASDAQ:BJRI) year to date — it’s up 74% through August 13 — I’d like to know it. In 2012, I applauded Darden Restaurants (NYSE:DRI) for buying Yard House, a specialty restaurant built around craft beer, the same key ingredient that BJ’s uses to bring people into its restaurants. Since then, DRI stock is up 145%, while BJRI is up 60% over the same period. At the time, BJ’s was trading at 10.9 times cash flow; today, it’s trading around 10.5 times cash flow despite the run-up in its stock. At the end of the day, BJ’s restaurant-level operating margins are growing — they were 19.0% in the second quarter, 120 basis points higher than a year earlier. And so are its same-store sales — up 5.6% in Q2 2018, considerably better than the 1.4% contraction in Q2 2017 — suggesting the good times for BJRI stock will continue in the last four months of 2018 and into 2019. Of all the picks by Goldman Sachs, these last two are the ones I’d have the least problem recommending to investors. However, the purpose of this article is to suggest alternatives with 25% upside — so I will. Down 23% year to date through August 13, many investors consider Skechers (NYSE:SKX) to be a value trap — with good reason. It missed second-quarter earnings estimates by 41%, delivering $0.29 a share when analysts were expecting $0.41. Not only that, Skechers’ Q3 2018 guidance calls for $0.55 earnings per share at the high end, 12 cents less than analyst expectations. Apparel companies generally aren’t too difficult to model, so it’s understandable that investors are scratching their heads at Skechers’ performance. However, the company’s always been mercurial when it comes to earnings. 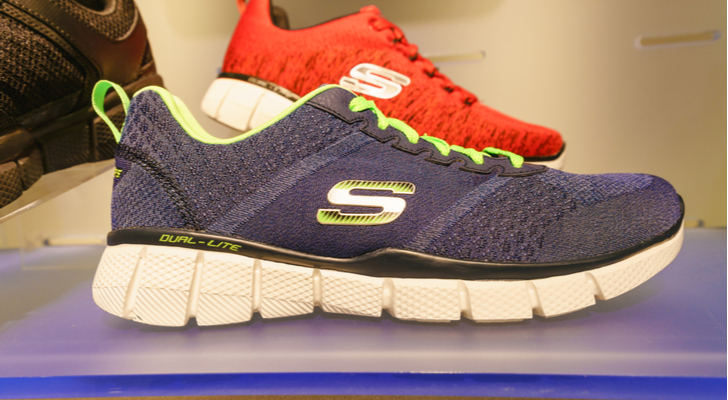 A couple of days after Skechers delivered poor results, I recommended investors take advantage of the buying opportunity. In my opinion, nothing’s changed. 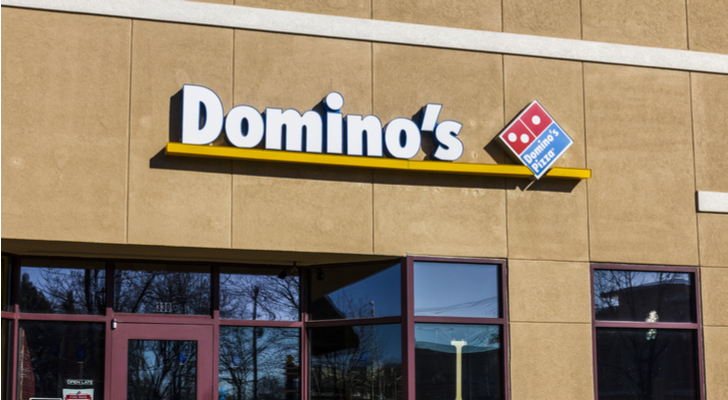 Domino’s Pizza (NYSE:DPZ) might not be on the list of stocks to hit a market cap of $1 trillion, but it is on the list of stocks that have outperformed in recent years. Former CEO Patrick Doyle took the top job in March 2010. Between then and retiring in April, DPZ stock appreciated by 1,700%, the third-best performance by an S&P 500 company over those eight years. I discussed Doyle’s success in early May as part of a story about seven of the best-performing CEOs in America. While it’s hard to imagine new CEO Richard Allison fairing nearly as well, I do think that the company can keep growing its stock at 25% or more a year. The recent racial slur by Papa John’s (NASDAQ:PZZA) founder John Schnatter on a marketing call has hurt the pizza chain’s sales to the point where the company is offering financial assistance to franchisees affected by the boneheaded comments. Naturally, Domino’s is glad to take on some of the lost business, putting a little extra revenue in the cash register. I like its chances to continue to outperform the rest of the S&P 500. However, if you believe in reversion to the mean, you might not want to own DPZ stock because over the last decade it’s only had one year with a total return of less than 25%. Article printed from InvestorPlace Media, https://investorplace.com/2018/08/7-alternative-consumer-stocks-to-buy-with-25-upside/.